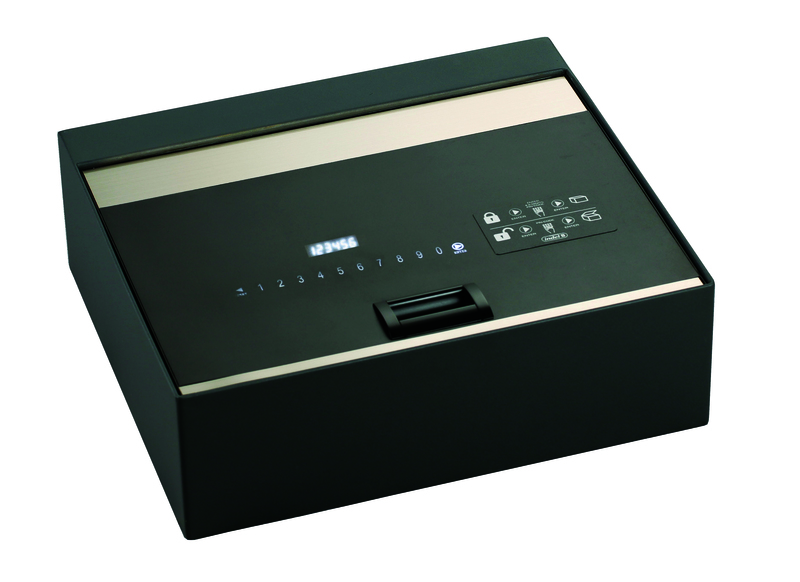 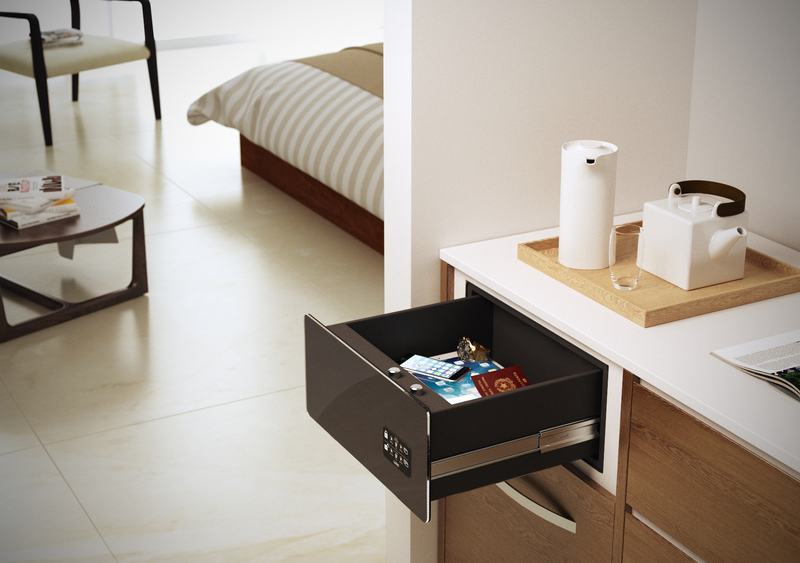 Indel B just launched SAFE TOP OPEN & SAFE DRAWER. 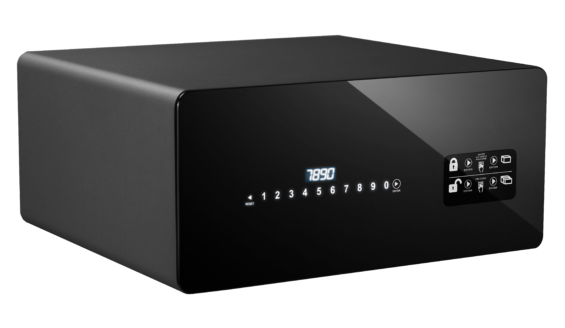 Hotel room safes with new touch keypad, stealthy LED display and easy access to the content, for a perfect integration with the furniture and the room design. 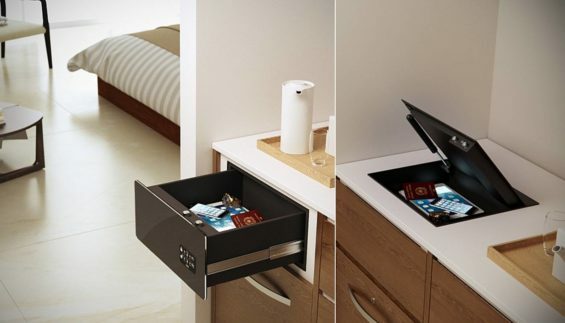 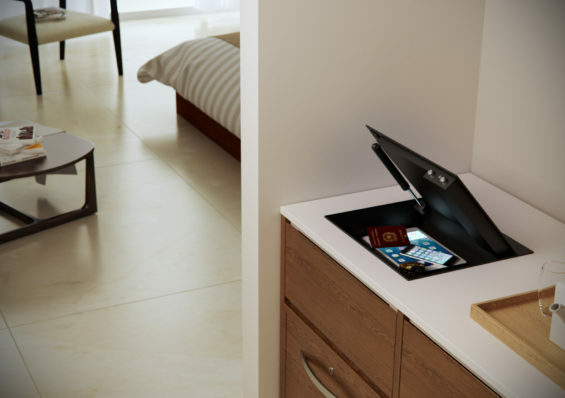 Top Open safe can be installed in existing drawer or flush mounted. Drawer safe has an elegant black glass door and curved body.